Movistar Riders is one of the leading esports clubs in Spain competing in the most popular games such as League of Legends, CS:GO, Call of Duty, Clash Royale, FIFA, Hearthstone, and Rainbow Six Siege. With 8 professional teams and more than 70 people in the Club. Players represent the Movistar Riders brand in multiple national and international tournaments. The Club is located in Madrid and has its headquarters in the Movistar eSports Center, located in Matadero Madrid. A high performance center where players and coaching staff develop their daily activity and where they have the means to develop their activity at the highest level. In 2018, the organization was rumored to be joining the EU LCS as part of the 2019 European franchise program. It was later reported that, after failed negotiations with Riot Games, they were not selected as a permanent partner. January 8, IceBeasto, TynX, Sebekx, Nixerino, and Anthrax join. Miniduke joins as a sub. Dinep joins as head coach. Orthran joins as a coach. Xyraz, Hatrixx, and Samux leave. January 16, Paiin and Homi leaves. January 21, Dinep leaves coaching role. February 13, LeDuck joins as head coach. April 5, IceBeasto leaves. LeDuck, Orthran, and Pyros leave coaching roles. January 2, Mykilu and Carbono leave. January 10, Flaxxish, bluerzor, MagiFelix, Defles, and Jesklaa join. Hero and Roison leave. May 1, Xyraz and Treatz leave. May 7, Xyraz and Cinkrof rejoin. May 8, Finn, Sir Ascal, Paiin, RNATION, and Darko join as subs. Gevous joins as a coach. Jandro moves to assistant coach. Motroco leaves coaching role. July 17, Finn moves to starting top laner. October 4, Gevous steps down from coaching role. October 8, Hatrixx's contract is extended through 2020. October 15, Samux joins on loan from Unicorns Of Love. StevenDX and Homi join as subs. Jarge joins as an analyst. Sir Ascal and Darko leave. November 21, Jarge leaves analyst role. November 28, Cinkrof and Klaj leave. November 30, Gevous and Jandro leave coaching roles. January 10, Movistar Riders is founded. January 13, team announces their roster. Mykilu, Hero, Bucu, Ivanetix and Mystiques join. April 3, Lastwolf joins. Ivanetix moves to sub. May 4, Headhunters leaves coaching role. July 14, Hatrixx and Treatz join. August 29, Hero is loaned out to Team Heretics. August 31, Obsess and Roison join. September 1, Mykilu is loaned out to x6tence. October 13, Cinkrof joins. Obsess leaves. Ivanetix Iván Mongelluzzo 4Sub/Bot Retired 2017-01-132017-01-13 ??? This table shows up to the 10 most recent results. For complete results, click here. This page was last edited on 5 April 2019, at 11:13. 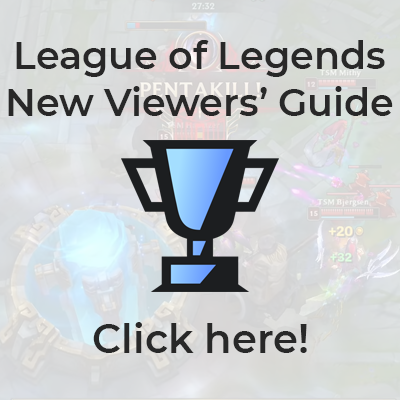 Gamepedia's League of Legends Esports wiki covers tournaments, teams, players, and personalities in League of Legends. Pages that were modified between April 2014 and June 2016 are adapted from information taken from Esportspedia.com. Pages modified between June 2016 and September 2017 are adapted from information taken from EsportsWikis.com. Content is available under CC BY-SA 3.0 unless otherwise noted. Game content and materials are trademarks and copyrights of their respective publisher and its licensors.